It was about two years ago I stumbled onto wheatberries and have been a fan ever since. They’re as simple to make as pasta, incredibly versatile hot or cold, and really good for you. 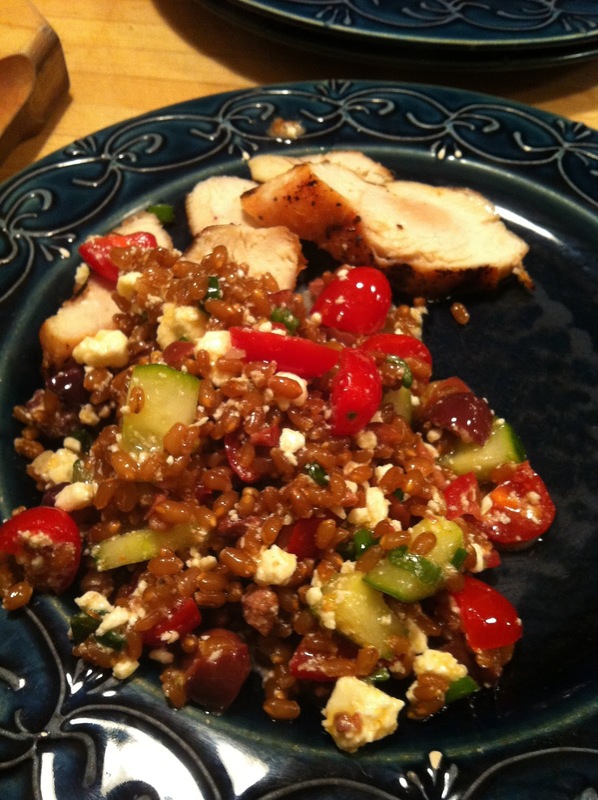 For this Greek interpretation I boiled a cup of wheatberries for forty five minutes, drained, let cool, then combined with extra virgin olive oil, sliced cucumbers, tomatoes, and Kalamata olives along with some crumbled feta and salt and pepper to taste. Try them hot with sautéed mushrooms, onions, and garlic, or as a main course with diced chicken, capers and lemon. Did I mention the chew…love it.